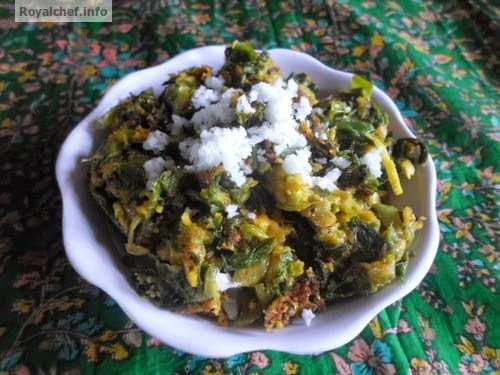 This is a Recipe for Kandyachya Patichi Peeth Perun Bhaji (Spring Onion Bhaji). A simplistic Marathi vegetable dish using Spring Onion and Gram Flour as the main ingredients. Heat the Oil in a Kadhai and add the Mustard Seeds, Cumin Seeds, Asafoetida, Garlic, Onion, Green Chili and then fry for two minutes on a slow flame. Then add the Turmeric Powder, Chili Powder, Salt, choped Spring Onion, two table spoon water and cover with a steel plate and cook for five minutes on a slow flame. Remove the plate from the vessel, add Gram Flour, mix it well, and then cook for two-three minutes on slow flame. 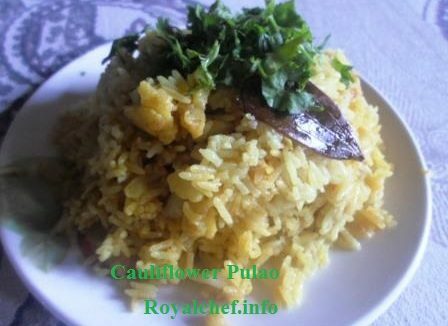 Garnish with Coconut and serve hot with Chapatti or Bhakri.